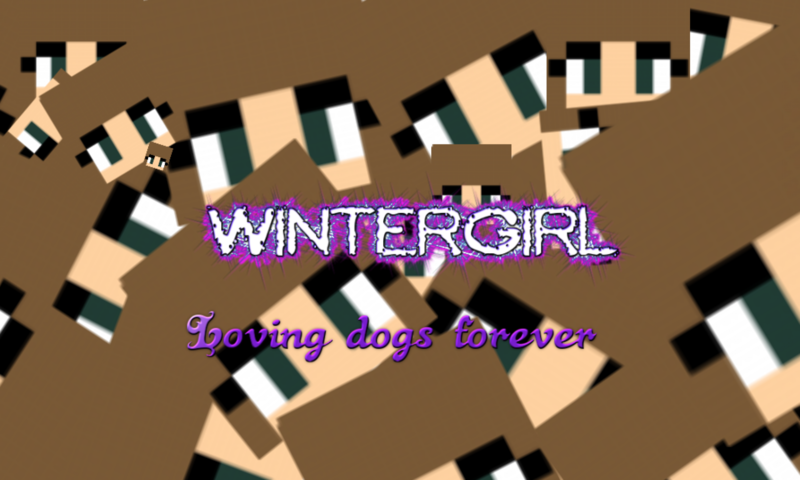 WinterGirl – Page 9 – Loving dogs forever!!! Rank 3!! I should get a bronze medal!!! “She has been to the village loads of times she won’t get lost,” said Star, their mother. “But somebody might trap her” said Pinky and Pinkie at the same time. There were once 3 tamed puppies named Pink, Pinky and Pinkie. Their father was once friends with the lady Thick-collar, the queen of the clouds so sometimes they help their mother bake cakes. Why did the untamed wolf cross the road? Because an ocelot destroyed the chicken. Why did a untamed puppy eat his homework? Sir Smacker was plotting a plan with Shield Evil. The were trying with the help of all the tamed wolves to defeat the royalty and their army of untamed and hostile wolves . The tamed wolves had a potion on which made them attack the castle and the people in it. The wolves had been stolen and taken to the tamed wolf home. This was where Shield lived (with Sir Smacker and the tamed wolves, temporarily). WinterGirl gave him the menu. “I will have a small bowl of chicken soup and a small bowl of milk.”said Sir Wolf. “Yeah, I am just gloomy that’s all. “Wow,” shouted Sir Wolf and WinterGirl, so excited they made Chas jump. Find out what happens to the heroes next in Sir Wolf’s castle story 23 part 2. Puppies are cute and fluffy. A mother dog can have about 15 puppies. There lots of different breeds of dog. Some dogs are mixed breeds.